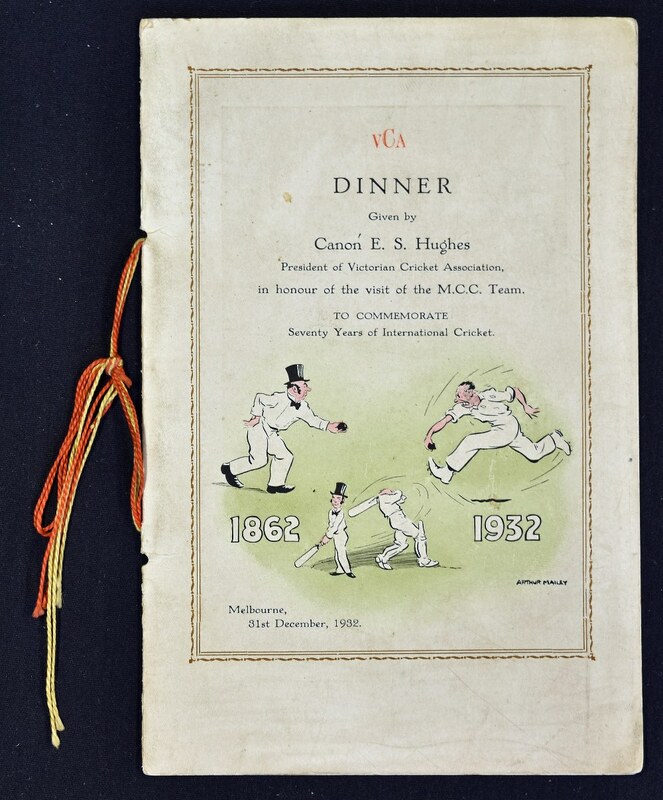 1932 Bodyline Cricket Dinner Menu in honour of the visit of the M.C.C. Team to commemorate Seventy Years of International Cricket 1862-1932. 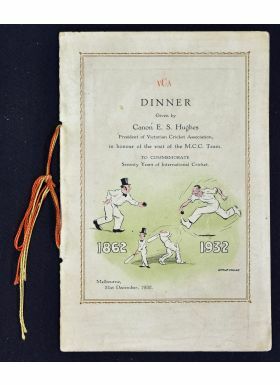 Includes four printed photographs; Arrival of the First All England XI, 24th Dec 1961, First English Team in Australia 1862, First Match in Australia 1st January 1862 and First Australian Team in England 1878. Fair condition.